If you eat fish, rather than take a fish-oil supplement, is there more likely to be a benefit? There's more than a suggestion that this is indeed the case. Lots of people think of fish as brain food. And there's good reason. Many kinds of fish — think salmon, sardines, tuna — contain high levels of omega-3 fatty acids, a class of polyunsaturated fat, which have been shown to fight inflammation and improve the function of our neurons. So, why is it that a new study of older women published in the journal Neurology finds that omega-3s may not benefit thinking skills or help fend off cognitive decline? Well, it's not clear. But one possibility could be the design of the study. The women enrolled in the study had blood tests taken — just one time — at the start of the study to measure the amount of omega-3s. Then they were given tests each year, for about six years, to test their thinking and memory skills. The researchers found no differences in declines in brain sharpness among the women who had high levels of omega 3s in their blood compared with those with low levels of omega 3s. So why the negative finding? Well, the researchers didn't know what the women's eating habits were before or after the study — or how their habits may have changed during the study. So, for instance, if the women's fish consumption or supplement regimen changed after the time of the first blood test, this study wouldn't have picked it up. That's one explanation. It's also possible that the study wasn't conducted for a long enough period of time, or that the age of the women made it hard to suss out potential long-term benefits. The other possibility? Maybe a steady intake of omega-3s doesn't really lead to any measurable benefits in staving off cognitive decline. One other note about the study design: It didn't track how participants got their omega-3s — whether it was through food or through fish oil supplements. As study author Eric Ammann, of the University of Iowa, points out in an email, "most randomized trials of omega-3 supplements have not found an effect on cognitive function." He cites this meta-analysis, which concluded that taking omega-3 supplements does not seem to help healthy, older people fend off cognitive decline. 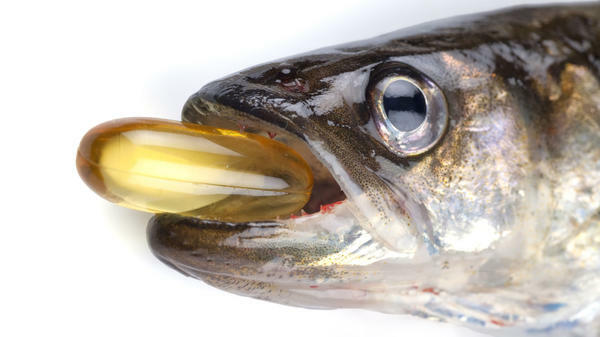 So, this raises a question: If you eat fish, rather than take a fish-oil supplement, is there more likely to be a benefit? There's more than a suggestion that this is indeed the case. For instance, a study of older folks (65 and older) enrolled in the Chicago Health and Aging Project found that people who were eating two or more fish meals per week had a slower rate of cognitive decline — about 13 percent slower — compared with those who ate fish less than once a week. "When you eat fish, there are other nutrients such as vitamin E or vitamin D" that you're getting at the same time, says researcher Rosebud Roberts of the Mayo Clinic. In other words, it's the whole food, as a package, that may be beneficial. And this seems to be the general picture emerging in human health: getting nutrients and healthful fats from the foods we eat as part of a healthful diet, rather than from supplements, may be the way to go. In fact, there's increasing evidence, as outlined by Paul Offit, that we do our bodies no favors by taking a daily regimen of vitamins or supplements. From vacant lots to vertical "pinkhouses," urban farmers are scouring cities for spaces to grow food. But their options vary widely from place to place. While farmers in post-industrial cities like Detroit and Cleveland are claiming unused land for cultivation, in New York and Chicago, land comes at a high premium. 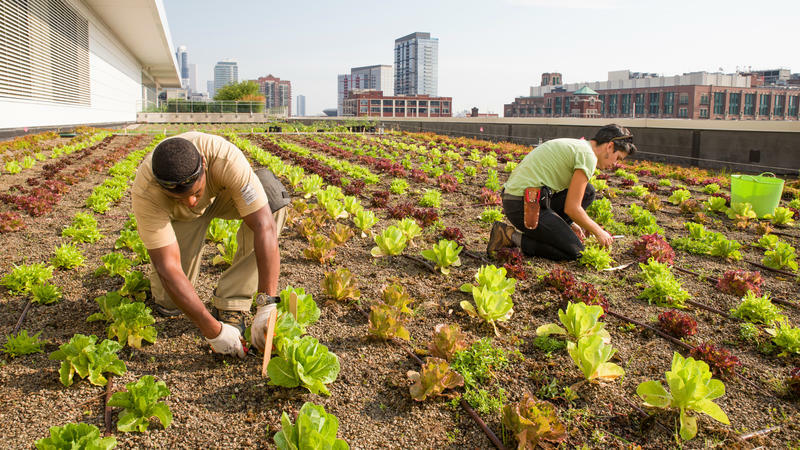 That's why farmers there are increasingly eyeing spaces that they might not have to wrestle from developers: rooftops that are already green. Florida is among the top 10 states with the largest share of its population relying on food stamps. Nearly 20 percent of the state requires assistance. 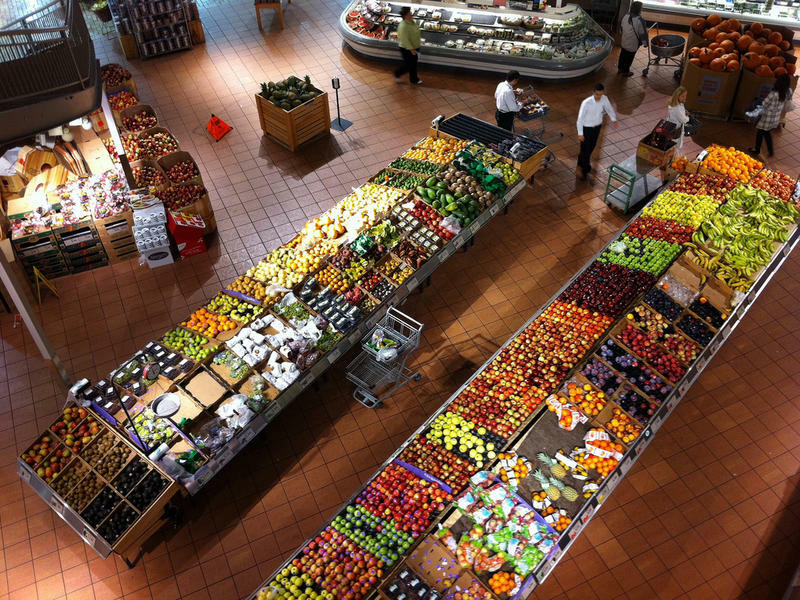 However, with federal cuts to the program likely, many could find it even more difficult in South Florida, where the cost of food is above the national average. Just over a year ago, Miranda Childe was an assistant professor in English at Miami-Dade College. But due in part to funding cuts at state colleges, she suddenly found herself out of work. The Affordable Care Act Marketplace opens October 1. Despite considerable opposition from some residents and lawmakers, Floridians will be able to shop online for health insurance and compare rates for different levels of coverage. The Affordable Care Act (ACA) – also known as Obamacare - is for people who don’t have health insurance or those who buy insurance on their own instead of getting coverage through an employer.